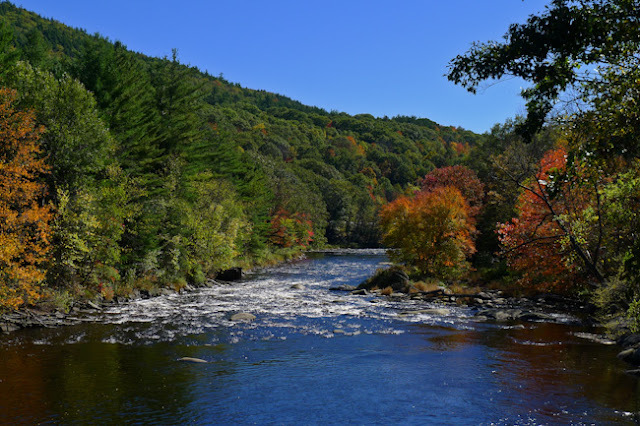 On Sunday morning as the temperatures began to climb over 50F, I decided to take a drive to one of my "spots" on the Millers River in central Massachusetts to see if I could catch some of the newly stocked trout. Fresh stockies was my only hope for trout, as I figured there would be no hold-overs this season. After all, to date this is the warmest year (January through September) in history, and also one of the driest summers in Massachusetts history. 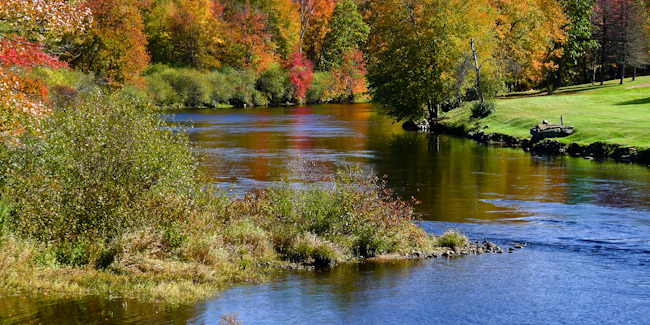 Many of the bigger rivers in Massachusetts get stocked both in the Spring and again in the Fall. October often has some of the best fishing of the season. June if good too, but in October the air is clean and clear, and there are few anglers. On this day, however, I got skunked. One small fallfish (around here we erroneously call them "chubs") was all I managed to catch. Even the smallies avoided me. But it was still a beautiful day, and after walking for an hour in the water upstream I figured at the very least I had gotten my aerobic exercise for the day. Too, I had my camera with me. Actually, I had two cameras. The old Pentax water resistant one, as always, was in my vest. 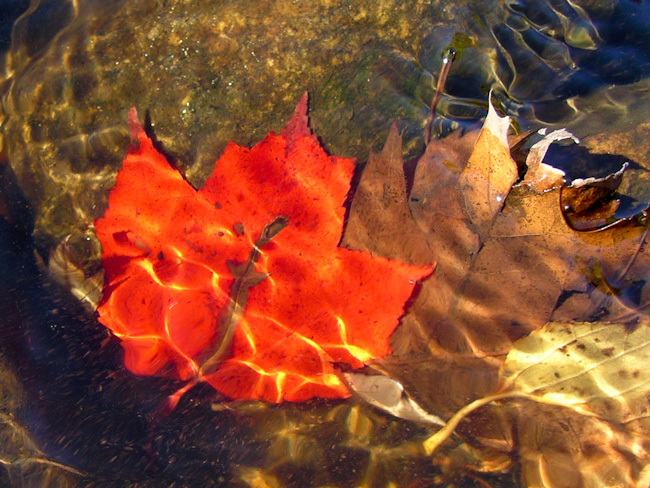 I used it to take the picture of the submerged maple leaf. And in the car I had one of my newer point-and-shoots, the Panasonic LX5, which took the other two pictures below. Thanks, Mark. Are you a baseball fan? I have learned that this was Ted Williams' favorite trout resource here in Massachusetts. I am sure it is far cleaner than when he fished it.